It’s the start of a new month – I can’t believe it’s already October! 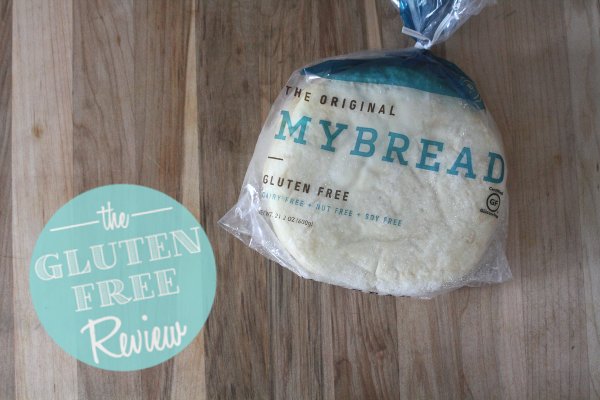 – so it’s time for another gluten free review. My sister texted me a few weeks ago that I absolutely had to try Udi’s gluten free tortillas, so I headed over to Whole Food’s, but I couldn’t find them! 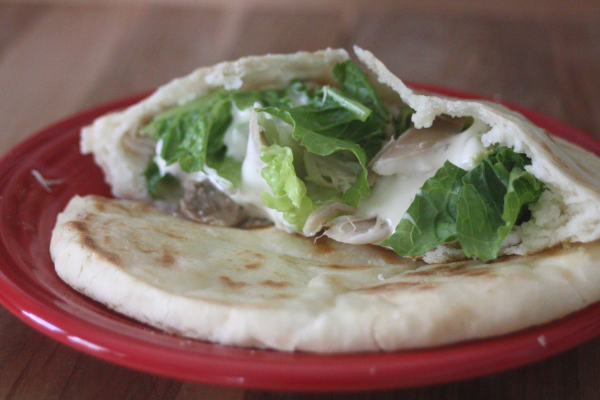 I did, however, find this pita bread made by MyBread. Texture is usually the hardest thing to get right in a gluten free bread. 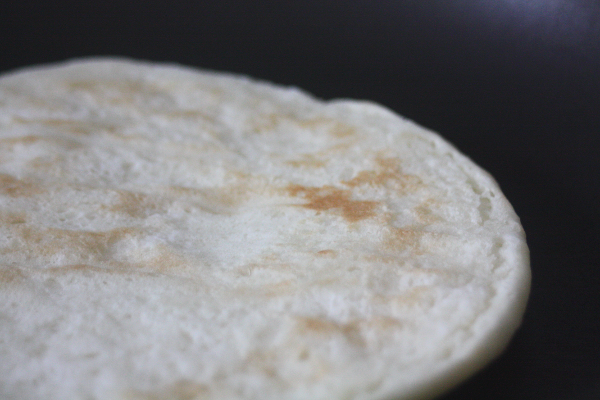 Even though it was frozen, I thought it looked like it would have authentic pita bread texture. And I wasn’t wrong. Look at it, all crisp on the outside, moist and fluffy on the inside. I honestly don’t think I would be able to tell the difference between this and a regular bread in a blind taste test. It really was the same thing. The catch was the price. It wasn’t labeled on the shelf, so I assumed it would be around the same price as the other breads ($5-6/loaf) but it was $9, and for only 6 pieces of bread! 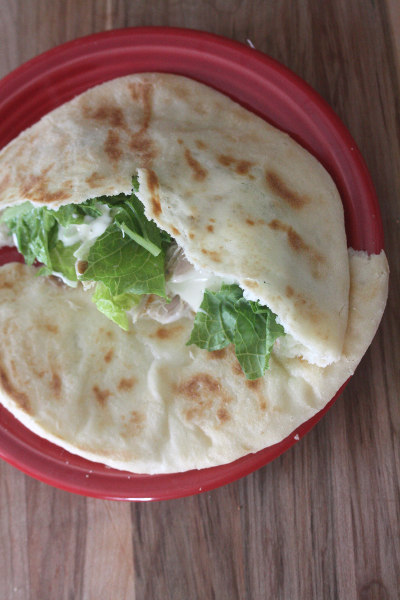 I probably won’t be buying this again, unless I get some sort of mad pita craving. I’ve already had four of the six pieces of bread, so I’m going to be rationing the last two – at least it lasts for a long time in the freezer!